Homemade Fondant | My Crazy Blessed Life! This weekend I have a cake to do for my cousin’s baby shower. 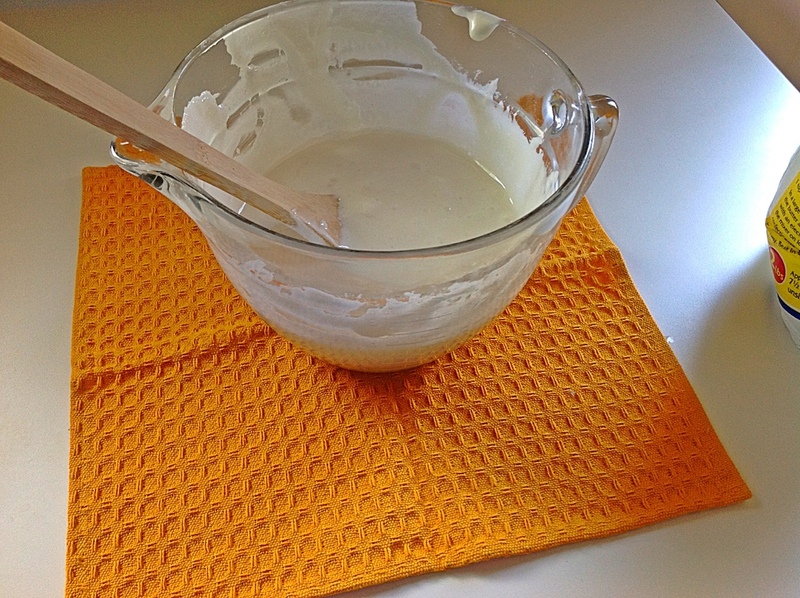 Since I was making 3 batches of fondant I decided to share my recipe with my readers. Years ago when I first tried using fondant I would buy it, which is very expensive and it doesn’t taste the best due to preservatives. I liked the way fondant looked and was able to make cake decorations I couldn’t with regular icing. 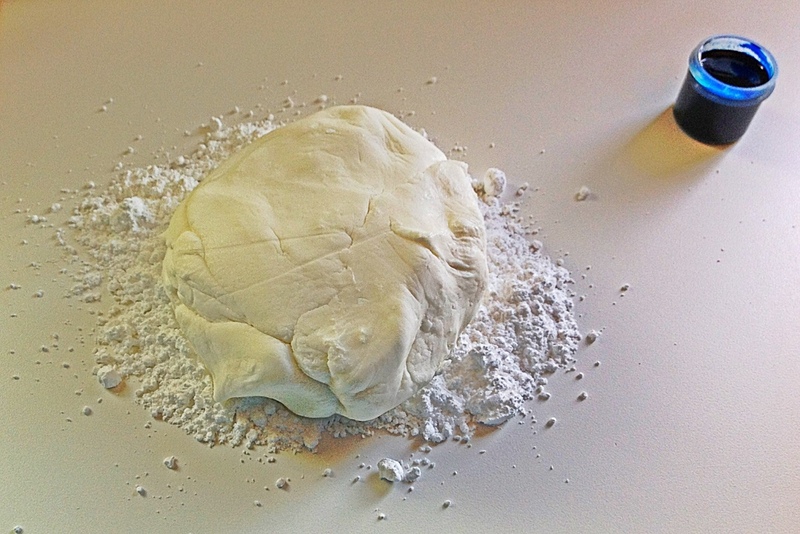 So once I started making cakes more often, I did some research on how to make my own fondant. It wasn’t very hard and ended up costing me about 85-90 percent less than buying it! The best part is the difference in taste, homemade was by far much better tasting than store bought. 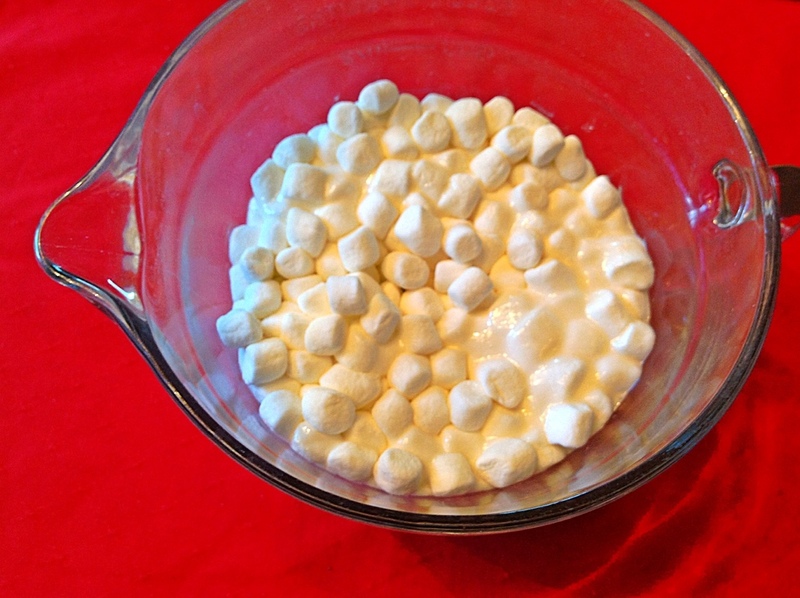 First, put the mini marshmallows into a microwave safe glass bowl. 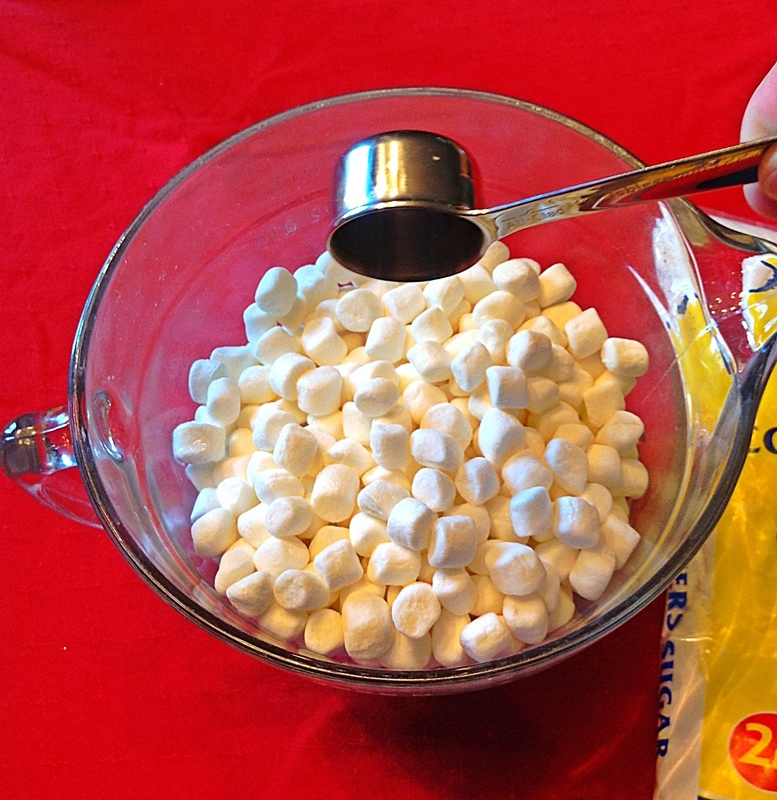 Then pour the water over the marshmallows. Now microwave for a minute. Next, give it a stir. It usually needs another 30 seconds to a minute more in the microwave to become totally smooth. I do it 30 seconds at a time to not over do it or your fondant will become too stiff. Next you mix in the powdered sugar a little bit at a time. I always use a wooden spoon because it becomes so thick that it bends metal spoons. 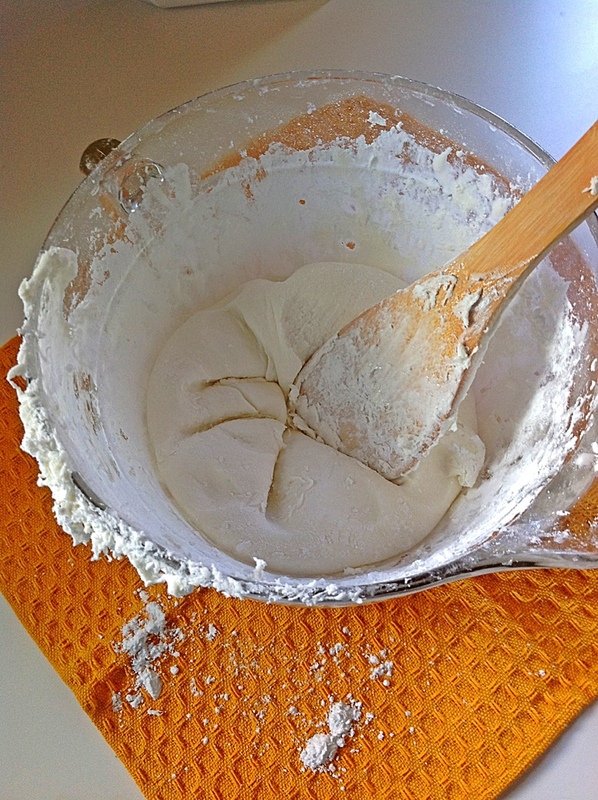 Stir until it becomes a very thick dough like consistency. Everyone has a different opinion of how sticky or hard it should be. I’ve played around with it long enough I know what I like. It doesn’t quite take the entire bag of powdered sugar for mine. When I color it I use a gel food coloring you can get in craft stores in the decorating section. I knead it into the fondant with gloves on or it dyes your hands. I knead it like I would dough until colored all the way through. Well that’s it! This amount of fondant premade from the store cost me $20.00 and to make costs me $2.50, and some elbow grease. I have been making my own for about 4 years now and won’t be stopping 🙂 Tomorrow I will post the cake and cupcakes I made for the baby shower. I can’t stand the taste of store bought fondant and have seen marshmallow fondant recipes floating around pinterest. I’ve been wanting to try it. Have you ever added any flavoring to it? Or does it taste that good with just the marshmallow flavor? Thanks for sharing! Thank you ~ will do! I use to own my own business and made this every week. Yes you can add flavoring just add it when you add the water. Usually decrease the amount of water based off of how much flavoring you add to the mix. 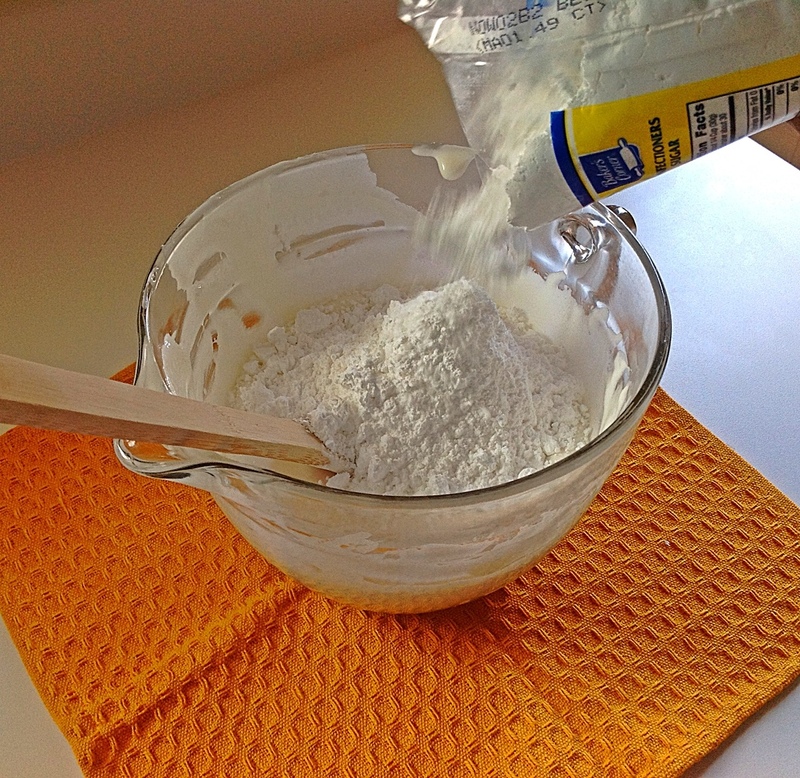 So if you use 1 tablespoon of say…. almond than reduce the amount of water added by 1 tablespoon. 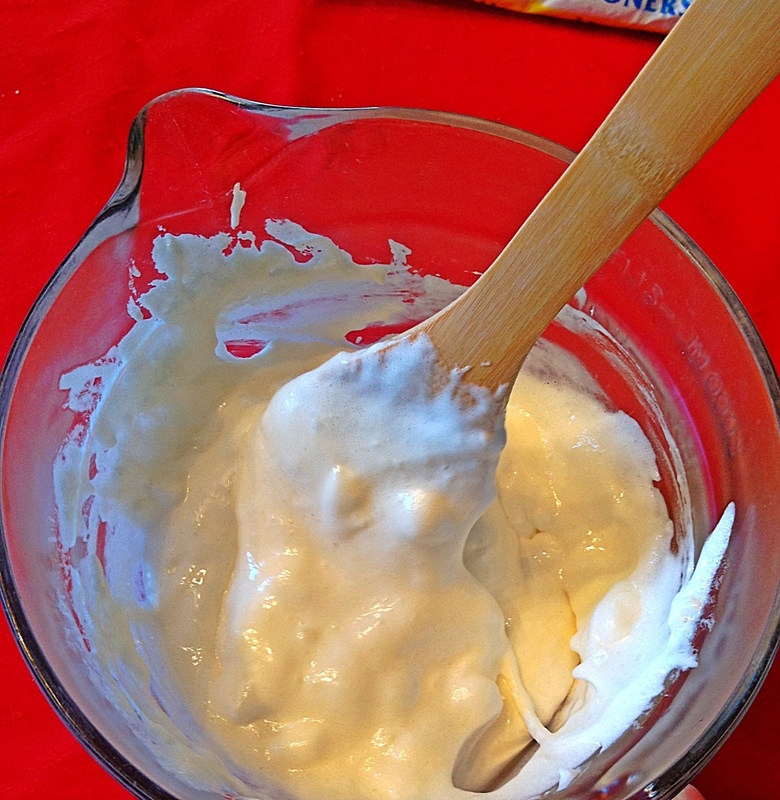 Alot of time I used a mix of almond and vanilla. If its too wet add alittle more powdered sugar. 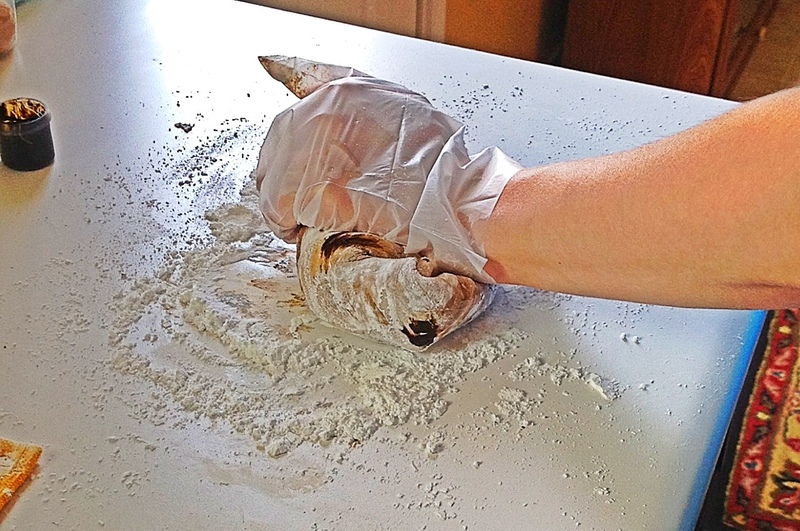 It is also easiest to roll out if you dust your counter with cornstarch. Also its best to let it rest for a day if you can. To do so…. coat the outside of it completely with crisco and cover in saran wrap. Make sure its air tight and it will keep for about a week or so in the fridge. Just bring to room temp to use and then knead again to make sure its pliable. Best of luck. Thank you so much for the recipe! how far in advance should I make the fondant? And how long does it keep? I make it 1-2 days in advance and it keeps about a week in a ziplock bag for me. This is a great recipe, thanks for sharing. 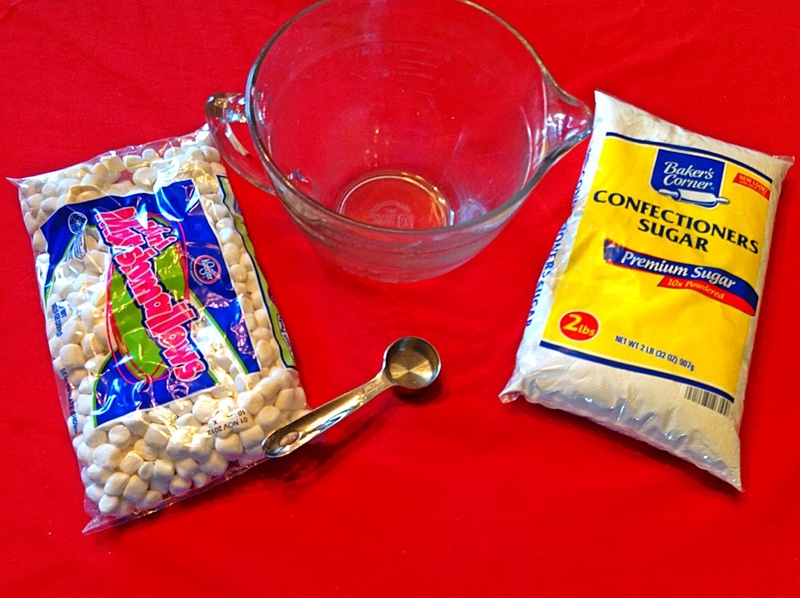 I need to make fondant for multiple cakes in the coming weeks, so will be trying it out with a part bag of marshmallows I have left over from a previous project. Wouldn’t it be easier to just mix in the food coloring initially into the melted marshmallows? Do you store it in the fridge or just on the counter? I keep it in a plastic bag on the counter for up to a week. How much cake does one batch of this fondant cover? 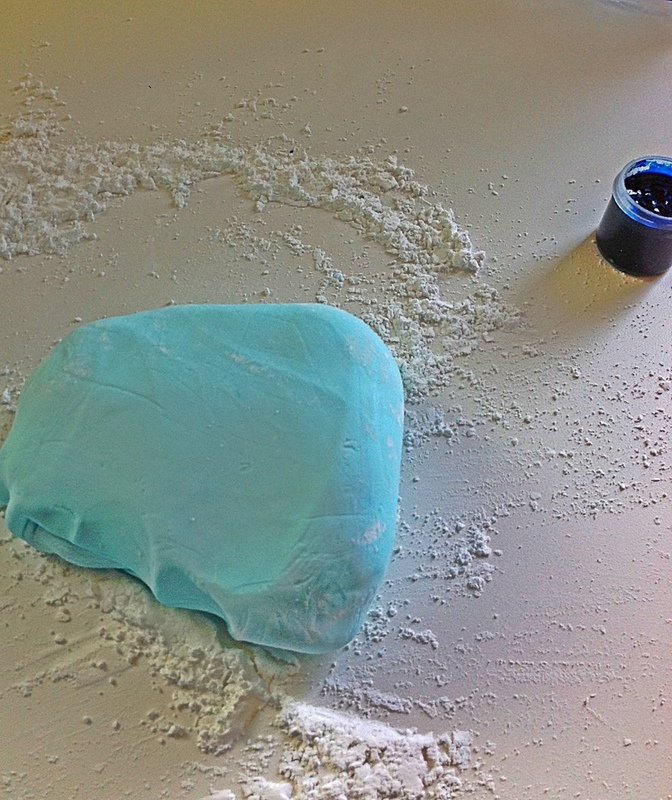 It really depends on how thick you roll the fondant and the shape of the cake…. But this easily covers a two layer 9″ round cake for me. I love this recipe! I found it four years ago when I wanted to decorate my son’s cake for his 9th birthday. Liked the idea of fondant, but not the flavor. This is great stuff! I have kept it in the fridge for a few months and then used it by warming in the microwave-works great! It is so easy to use and color. I will have to use your trick to wear a glove when coloring. I have always wanted to try fondant but didn’t want to spend the money.i will make THIS investment. I wonder how it would work on cupcakes? Do you frost first? A lot of recipes on the web show this list of ingredients plus half a cup or so of shortening (crisco etc). Do you know why this is? 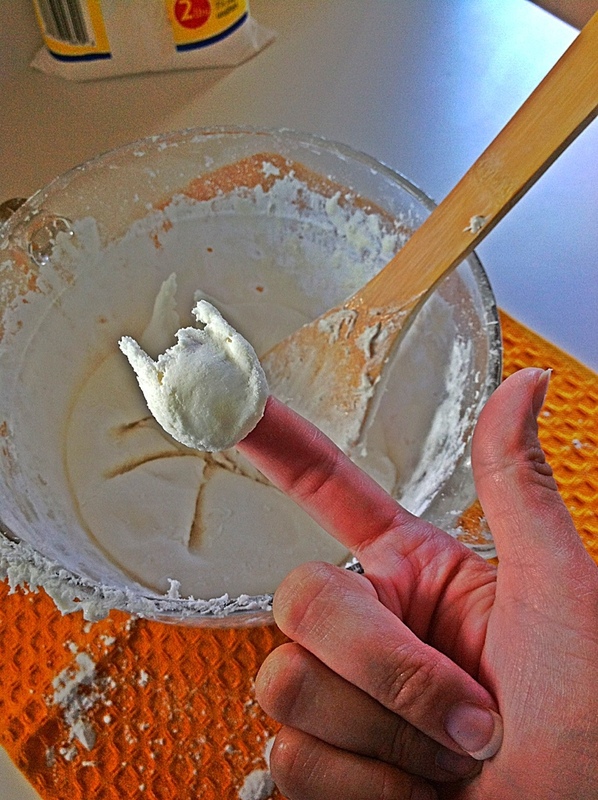 Does your fondant still firm up or remain reasonably soft? How do you make chocolate fondant? I was curious as to what you have “dusted” on your counter top and do you roll it out ? and how thin? I tried it this afternoon. Super easy! Thank you! what if its too hard…is there a way to soften it up?? I have put it in the microwave for a few seconds to soften a bit. Hi, thanks for this recipe I will certainly try this out. What weight of marshmallows do you use, I am in England so don’t recognise the packet. Another question if I may? Would it be ok to use a stand mixer instead of hand mixing please. How long does this recipe keep? I was reading through the comments and noticed you said you make the fondant about 2 days before. Can I make it and use it the same day? Also, I only want to use the fondant to make decorations. If I halve the recipe will it still be fine? Thank you! I’m doing a safari cake for Tuesday. Does this fondant recipe hold up enough to make animal figures out of? If so, I’m already in love with this recipe! Thank you! Yes it does hold up really well 🙂 if its too soft add a bit of powdered sugar until it is stiff enough for you. Can you use this to create decorations for the cake as well? Like flowers and such? Thanks for this easy recipe. I made it today for the first time. I am posting a recipe on my blog for little Easter cakes and have linked back here for the directions, giving you complete and total credit. 🙂 I honestly can’t believe how easy this was. I don’t usually even try to make pretty desserts, but I think I will now! I want to make a cake for my daughters bday, but I want to make the cake the night before to avoid a rush. What is the best way to store the cake with this fondant Receipe? Fridge? Counter? How long does it keep for once its on the cake? Thanks! I was wondering, I have to make a horseshoe cake this weekend (baking it today and hopefully decorating it later tonight) will this make enough fondant to cover a 22×30 cake? THANK YOU!! You saved the day! My kids’ birthdays all fall in the same week, and each year I make 3 cakes for the same party…this is just what I needed!! You can use it immediately or wait. Do you store the fondant in the fridge or outside in a ziploc.. I store in a plastic zipper bag in the pantry. Can you frost the cake with regular store bought frosting before you put the fondant on top? I’ve never worked with fondant before, but still wanted the cake to have regular frosting. Do you know if this will work ? That is exactly what I do. 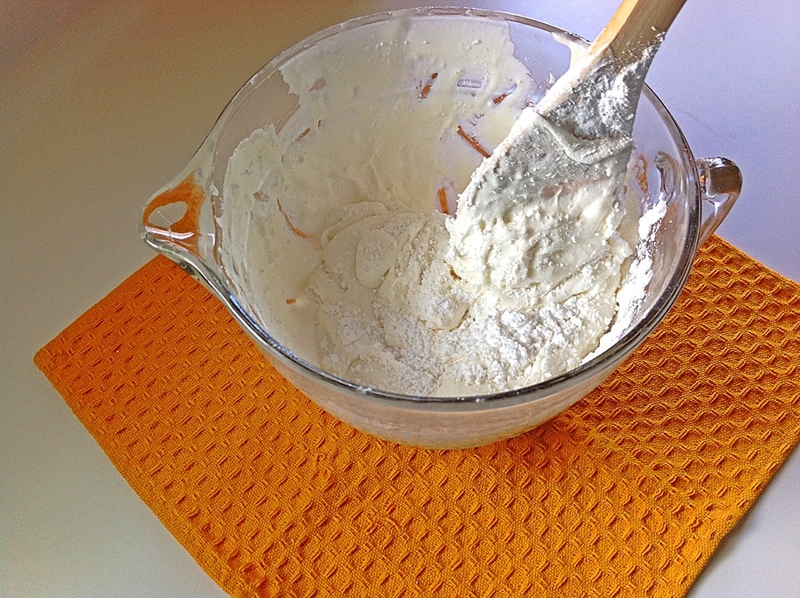 I use store bought or homemade frosting as a crumb layer first then lay on the fondant. Thank you so much! And for sharing your recipe. I am so excited to try this out this weekend!!! I am planning on making my daughter’s birthday party cake, but need to do trial and error before the actual party! Does the coloring need to be gel or can it just be regular food coloring? Regular food coloring is a bit too watery for fondant, it makes it very sticky. can you use large marshmallows? And how many? Any idea how long this will keep, and the best way to store it? I’m assuming a similar shelf life and storage plan as store bought fondant. I’d like to make a variety of colors to have on hand for decorations. Love the recipe.. Going to try this for my daughter’s birthday. I have a question, how do you get the powder off of the finished foundant, so it looks nice and bright in color? I have never done this before, so I may be overthinking 🙂 Thank you . I used your recipe to make my daughter’s “Frozen”-themed birthday cake. Thanks!!! If I don’t have time to wait a whole day or so for the foundant is it ok to use right away away after cooling for just a bit? This is awesome! And I found this in time too! I’m throwing my friend a babyshower and was going to bake her cake instead of buy cause I’m poor lol and this fondant helps a ton! Yes! But when you knew it out what do you knead or roll it on when adding color or rolling out to cover a cake?? 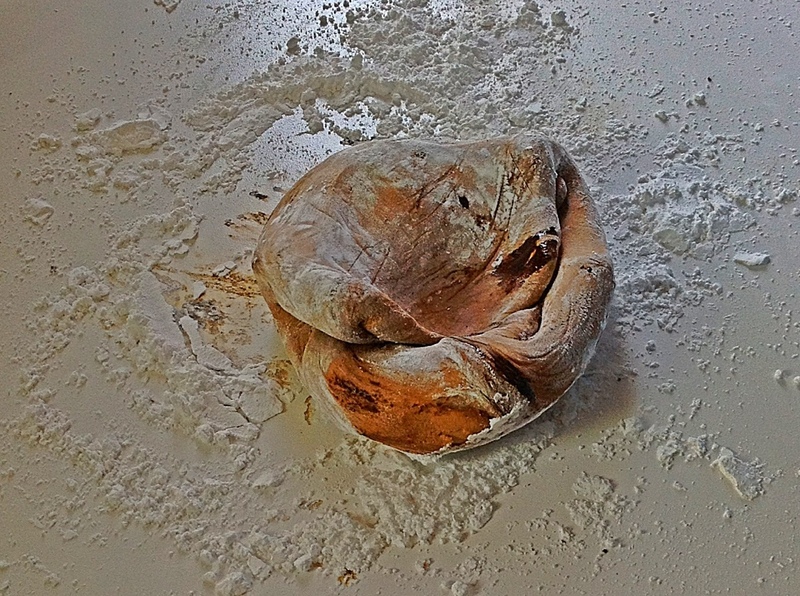 Usually my countertop but if you’re worried about dying the surface you can use wax paper powdered with powdered sugar. Help! I live in the south and the humidity is horrible, it causes the fondant to “sweat” really bad even indoors. Do you know of any way to help prevent this? I have to keep the cake in the fridge to keep it from “melting”!